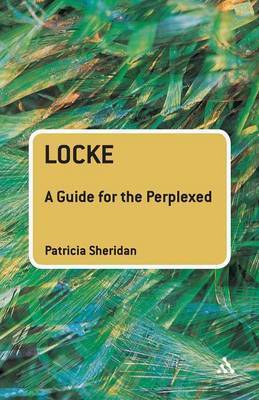 This title presents a concise and coherent overview of Locke, ideal for second- or third-year undergraduates who require more than just a simple introduction to his work and thought. John Locke is a clear and lucid writer who wrote on many subjects and founded many new schools of thought. Yet, while his work is not impossible to read, his thought is sufficiently subtle, complex and intricate that he can be agonizingly hard to follow, presenting students of philosophy with a number of difficulties and challenges. "Locke: A Guide for the Perplexed" is a clear and thorough account of Locke's philosophy, his major works and ideas, providing an ideal guide to the important and complex thought of this key philosopher. The book covers the whole range of Locke's philosophical work, offering a thematic review of his thought, together with detailed examination of his landmark text, "An Essay Concerning Human Understanding". Geared towards the specific requirements of students who need to reach a sound understanding of Locke's thought, the book provides a cogent and reliable survey of his life, political context and philosophical influences, and clearly and concisely reviews the competing interpretations of the Essay. This is the ideal companion to the study of this most influential and challenging of philosophers. "Continuum's Guides for the Perplexed" are clear, concise and accessible introductions to thinkers, writers and subjects that students and readers can find especially challenging - or indeed downright bewildering. Concentrating specifically on what it is that makes the subject difficult to grasp, these books explain and explore key themes and ideas, guiding the reader towards a thorough understanding of demanding material. Patricia Sheridan is Assistant Professor of Philosophy at the University of Guelph, Canada. She recently edited The Philosophical Works of Catharine Trotter Cockburn (Broadview Press, forthcoming).